Ey Zein is organising a three-weekend aerial yoga workshop, with the last weekend of the three dedicated to aerial dance. At the end of the workshop a certification from Ey Zein, an official member of Yoga Alliance, will be given to the trainees. 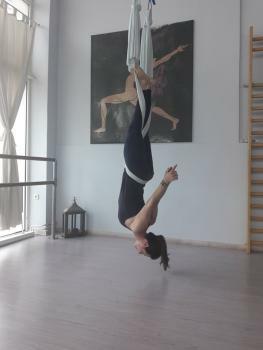 teaching aerial yoga of the Eyzein academy. 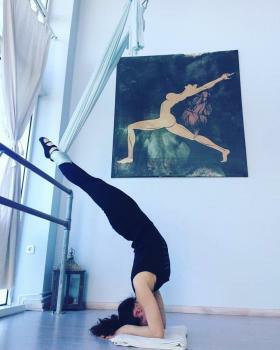 Zianna Katerina, a fourth cycle graduate student of the Ey Zein academy, PE teacher and certified Aerial Yoga instructor. A 40 euros discount is available for those attending all two parts. VAT is not included. 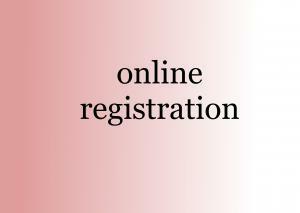 A 100 euro deposit should be given in order to book your place. Information and application forms at: 2310 415211. No prior Yoga knowledge or experience is required. The participants will delve into the Yoga philosophy and practice, using the hammock as anaid at the performing of anti-gravitation asanas. Yoga professionals with prior experience, wishing to gain an insight into Aerial Yoga, are eligible for this workshop. Attendance of the first part of the workshop is a prerequisite.